As Yogi Berra used to say, it's like deja vu all over again. Thanks to an improbable 6-3-1 record in the absence of injured forward Johnny Gaudreau, the Flames woke up Saturday morning in a playoff spot in the Western Conference. They moved into the top eight for the first time on Friday night with a 3-2 shootout win over the Minnesota Wild, who most of you will remember as the same bunch of hoodlums that sent Calgary's diminutive superstar to the sidelines 18 days ago with a broken finger. Going into that game of whack-a-mole on November 15 in Saint Paul, in which Gaudreau was hacked and slashed seemingly non-stop and was finally felled by Eric Staal in the third period, Calgary was five points out of a playoff spot and were reeling. Suddenly they find themselves in the second wild card spot. Now sure, due to some asinine scheduling, everyone chasing them holds games in hand and most have plenty. The team closest in pursuit -- the Nashville Predators -- are only one point back and have played a whopping five fewer games. But that's not the point. The point is somehow the Flames have been able to withstand the loss of their most important player and are not just treading water either. They're actually climbing in the standings. If this is all sounding very familiar, that's because this is not the first time lately they've gone through such adversity. Nearly the identical thing unfolded 21 months ago. Winding the clock back to February 25, 2015, Calgary lost captain Mark Giordano late in the third period of a 3-1 win in New Jersey. 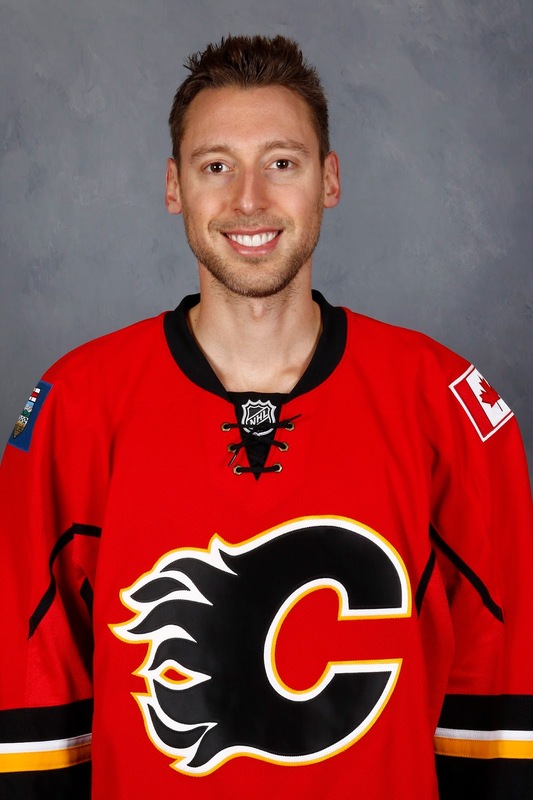 He was the Flames best player and was having a phenomenal season. Averaging 25:10 in ice time per game -- 11th best in the league. One point up on Pittsburgh's Kris Letang for top-scoring defencemen with 48 points (11 goals, 37 assists). He was a legitimate Norris Trophy candidate at the time he suffered that devastating torn biceps tendon. With 21 games to go, the Flames were not in a playoff spot. It was the devastating blow that was supposed to crush any post-season aspirations. It was supposed to be the a final nail in the coffin. Calgary pulled together as a team with several individuals stepping up big time and taking on more ice time and greater responsibility. Not only did they get themselves back into a playoff spot by the time the regular season ended, then they went out and defeated the Vancouver Canucks in the opening round. Somehow, without their heart and soul in Giordano, the Flames played hockey into mid-May and reached the league's elite eight. Without Giordano in 2014-15 - Finished regular season 12-6-3, a .643 PT%. Without Gaudreau in 2016-17 - Have gone 6-3-1, a .650 PT%. So why does this happen? How has it happened? A long-term injury to a top player in both instances should have been a dagger to the heart of playoff aspirations. How has it been a rallying point instead? Seeking answers, I headed into the Flames dressing room post-game on Friday to find out. "Different time of the year but nobody believed we were going to have a chance at the playoffs when Gio went down but we came together as a group," says centre Mikael Backlund, reflecting back on two years ago. "Same with Johnny. We maybe haven't scored as much, but we've been playing pretty solidly defensively as a group." Glen Gulutzan says a more-focused team effort has been the key. "I said -- however long ago that Johnny's been out now and it seems like a long time when you're missing your top guy -- we needed to come together as a group to play a certain way," says the Flames coach. "It was an opportunity with him out of the line-up for us to embrace a style of hockey that's not only going to get you to where you want to go, but it's long lasting. "It gives you permanent longevity. It was a chance for us to get together and play that way. I think that's been a good rallying point for our guys. They knew they had to come together and play good, solid, 200-foot defensive hockey and then go from there." Oh, they've been going alright. In a steady upwards trajectory that nobody saw coming. Now there are other contributing factors to the team's slow start followed by improved play. 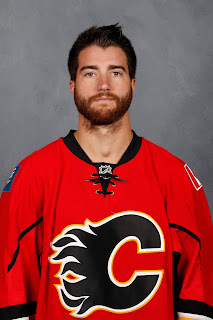 TJ Brodie points to the new coaching staff and learning a new system as something else that hampered their play early on. He says they're playing better now that they've become more comfortable with what to do and where to go. "This year, we didn't start the way we wanted to. New systems for the whole team. It took a little while to get on the same page, playing as a unit of five out there. So that has lots to do with it," says the defenceman. "But at the same time, with Gio and with Johnny, there are guys that have stepped up and filled those holes. Obviously you can't fill their shoes but guys have brought energy, we've found a way to play as a five-man unit and come out with some wins." Another factor has been the goaltending the team is getting with another 'Johnny' stepping up in the absence of Johnny Hockey. Chad Johnson has been the talk of the town the past three weeks. Heck, he's been the buzz around the league. "He's made some huge saves. There's some games where we didn't deserve to win and he's played well and come up huge for us and got us the two points," says Brodie. No kidding. 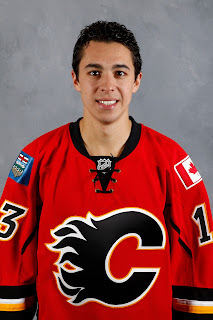 It started the night of Gaudreau's injury. With only Gaudreau's first period goal for run support, Johnson made it hold up, stopping all 27 shots he faced. That start, his first action in nine days, began this current hot streak he's on where the 30-year-old has started nine of the last 11 games and has been brilliant. Over that span he has gone 7-2-0 with a 1.55 goals against average and a .949 save percentage. "Definitely another big thing is getting those saves," says Brodie. "We've got to find a way to cut down on chances and I think we've done that compared to the start of the year, but some of the saves he's made have been incredible." One of the players closest to Gaudreau is Sean Monahan. He points to the time -- as hectic as it was -- the team recently spent on the road and the success they enjoyed as important. "Obviously there are ups and downs in this league and injuries and stuff like that, but character wins like that, it pulls your team together," says Monahan. "Those road wins and being on the road so long, it tightened up our group and a tight group leads to winning hockey games." He says when No. 13 is not there, you can't lean on him so you have no choice but to carry on without him. "The guys that are going that are in the dressing room, that's the guys you're focused on and everyone does their job," Monahan says. "Obviously we're looking forward to getting Johnny back but when he's not there, other guys have to step up and elevate their game." Despite the similarities between the two situations, Gulutzan is hoping the style of play his team is learning and settling into this season will be more sustainable. You'll recall 'sustainable' was the buzzword that swirled around the 2014-15 Flames team constantly, in that how they were winning -- while being outshot on most nights, relying on so many third period comebacks -- was unsustainable. Sure enough, last year they missed the playoffs and finished fifth from the bottom overall. Gulutzan says what he's trying to build this season is a way of playing that is repeatable and more conducive to long-term success. "It's not any different than building a house. You start with a defensive base or a good foundation, then eventually our offence is going to blossom out of that, once we're more comfortable playing a certain way," he says, "If you look at the best teams year after year, they're always the best goals-against in the National Hockey League. We had to start somewhere and that's where we're starting." While no timeline is known, having Gaudreau back at practice now, can provide another lift. "Johnny is a special player and he competes hard. He obviously wants to be out there playing and when we win, you know that makes him happy. We're fighting and we're looking forward to getting him back," Monahan says. Brodie says it's nice to know Gaudreau is getting closer to a return, but his presence at practice in that yellow no-contact jersey can't change what they've been doing so successfully of late. "It's a mindset. It's guys stepping up and eating those minutes. There's ice time for guys. Guys stepping up and playing well could make a big difference in their career," says Brodie. "We knew Johnny wasn't going to be out the whole season. We knew we had to find a way to stay in the mix and gain some ground on some teams and so far, we've done pretty well. "It's nice to see him out there with us. Hopefully he's back sooner than later. But until he is, we've got to keep doing what we're doing and keep trying to find ways to get wins." Calgary's next chance to pick up another two points is Sunday night when Anaheim arrives at the Dome. Two points up and with three fewer games played. They're one of the teams Calgary is chasing. It's another big game against an always-difficult opponent but probably still without Gaudreau, you know that means -- as strange as it sounds -- that Calgary has a very good of winning and another victory would return the Flames to the NHL's .500 mark, no small accomplishment given the rocky start to the season. Man, sometimes the NHL can be hard to figure out. Great article... and I see no reason this little run the Flames are on can't continue. There are some winnable games in December and if the Flames keep playing this way once Johnny returns, as Loubardias would say... "look out". Question for you Darren: Any idea what Gulutzan is seeing in Wideman? 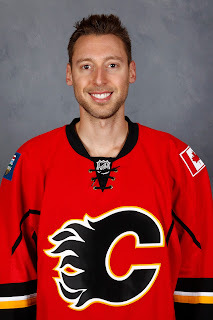 Hamilton is playing like the Flames best defender lately. He has the most shots, most points and best Fancy stats of any Flames D-man, yet somehow Wideman keeps playing more minutes than him. I don't get it. I'm not one that believes a team would play a worse player more just to increase their trade value if it decreases your chances of winning. What gives? Thanks for the feedback. Calgary has been on a roll and you're correct in that the way the schedule sets up in this current stretch of seven games -- six against the three worst teams in the league -- they can really make some hay and give themselves a bit of cushion in the playoff race. As for Wideman, there's a veteran poise that comes with him that isn't to be confused with blinding speed by any means but has him as the best option for that fourth D. Among the top four, they all play a lot and where Wideman ends up with extra ice sometimes (most times) is special teams, I'd say. 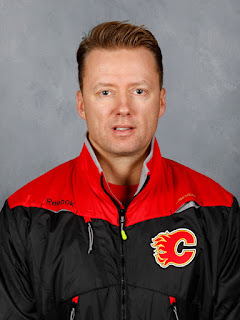 He's not part of the future but Gulutzan trying to squeeze out as much effectiveness as he can from Wideman in the present and I believe he's done a decent job of that. 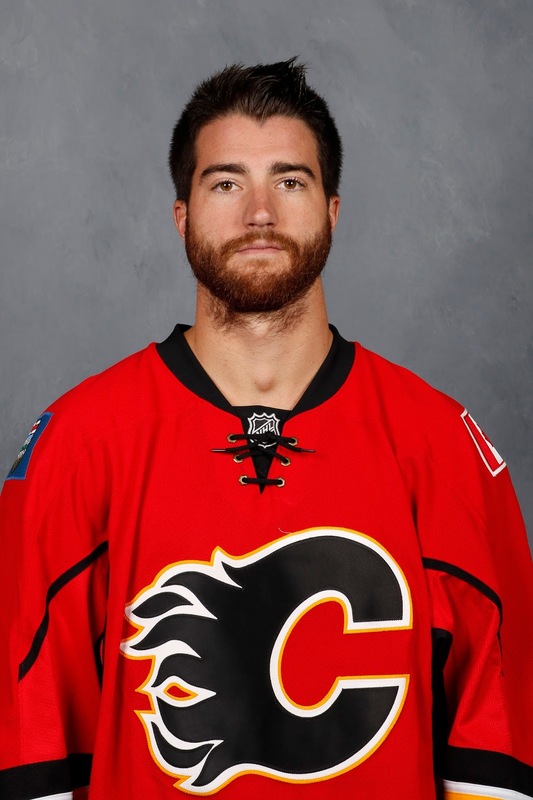 TJ Brodie's game is finally coming along now too, which helps Wideman out a ton.